I was really pleasantly surprised by the Sangkee Noodle House in the lobby of the Sheraton University City Hotel. I had to be in Philly for work and I got into the hotel late on a miserable rainy night and so had limited dinner options. From the check-in desk the restaurant looks very PF Chang-esque, but it has a legit pedigree. 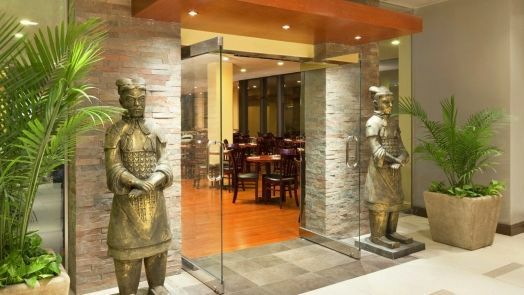 Sangkee Noodle House is part of the SangKee Restaurant Group family, which includes the beloved Philly Chinatown stalwart, the Sangkee Peking Duck House. 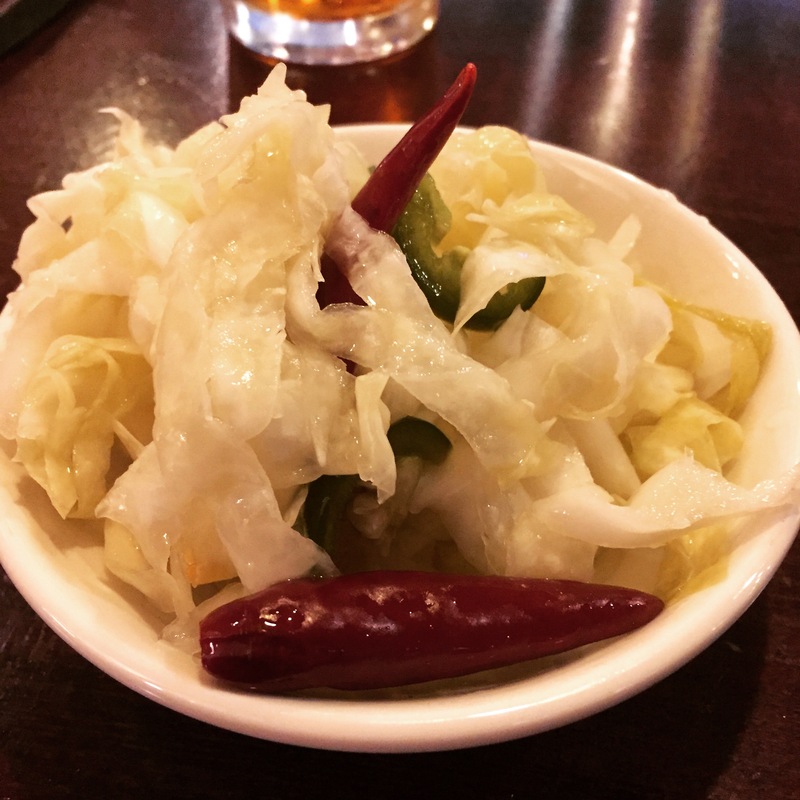 While I was waiting for my soup dumpling order the waiter brought me an amazing sweet, sour and spicy cabbage salad appetizer that included two types of chili peppers. I went back for breakfast the next day. SangKee sells a combination of Chinese dishes and American breakfast essentials. Almost all the Chinese breakfast options included chicken, which I don’t eat, so I went with the egg white omelet, which turned out to be the worst omelet I think I have ever had. Stick to the Chinese dishes at Sangkee. The Dumplings: Sangkee Noodle House serves Steamed Watercress Dumplings filled with pork, shrimp, and watercress, Steamed or Pan Fried Dumplings filled with either chicken, meat or vegetarian, Fried Wontons, Fried or Steamed Shrimp Dumplings, and Steamed Sui Mai. The soup dumplings come eight to an order but are on the small size. They were expertly cooked with the soup blazing hot but the wrappers were still intact on each of the dumplings. The soup was straw colored and relatively free of fat globules but had an intense concentrated pork broth flavor that I really enjoyed. The pork meatball itself was fairly mildly flavored and finely minced so it had a smooth mouth feel. This was one of the best meals I have had at a business class hotel restaurant. Breakfast at the Lotte Hotel in Seoul has to have been the best, but this was top three. Location: The Sheraton University City Hotel is in the University District of Philadelphia, home to Drexel University and the University of Pennsylvania. It is at 3549 Chestnut Street at 36th Street. 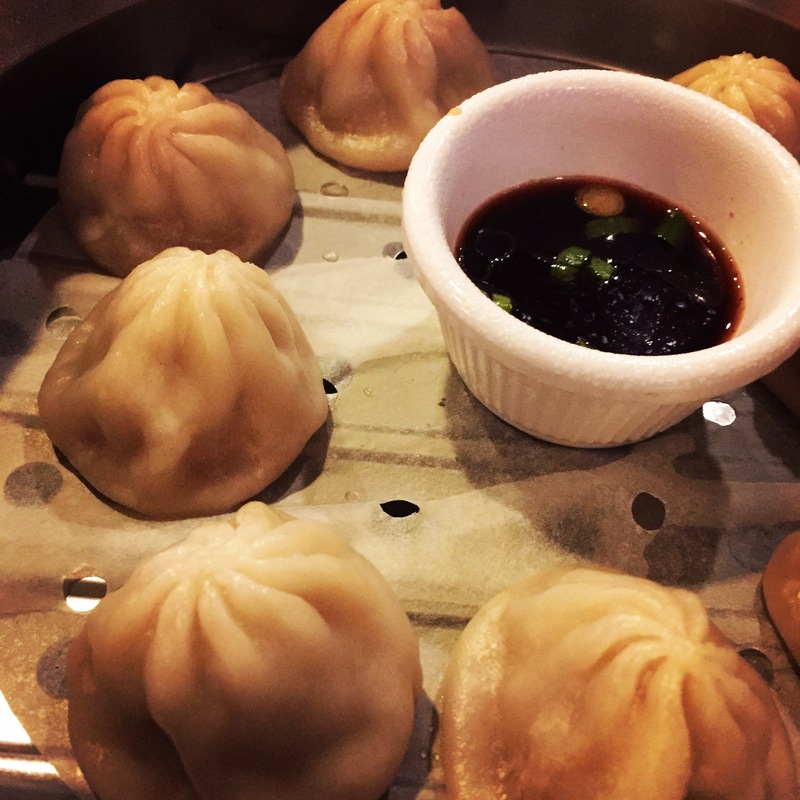 This entry was posted in Philadelphia, Soup Dumpling, Xiao Long Bao. Bookmark the permalink.